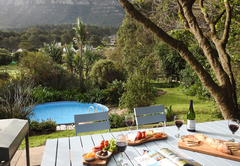 Kairos Lodge is a property providing self catering in Hout Bay for tourists visiting the Atlantic Seaboard region. 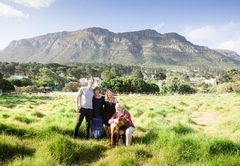 Kairos offers a perfect opportunity to relax and enjoy the beauty of rural Hout Bay whilst exploring the best amenities that the Cape Peninsula and environs have to offer. Hi-speed wireless internet is provided free of charge. 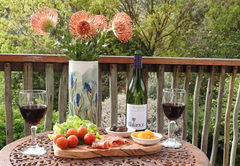 Set in a two acre award winning indigenous garden in the heart of the tranquil Disa River valley with stunning mountain views, this Hout Bay accommodation is just 20 minutes from Cape Town and within easy reach of numerous golf courses. 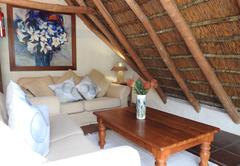 The beautifully equipped cottage exudes country atmosphere. Families are welcome. 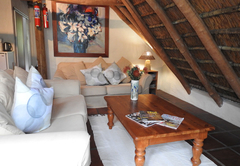 With stair access, the spacious loft cottage is fully self-contained. 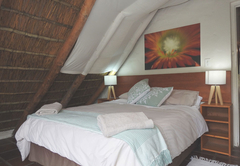 It has a large double bedroom with spectacular mountain views, a twin bedroom and a bathroom. A cot is available. 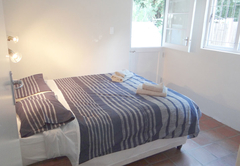 Bed linen and towels (including beach towels) are provided. The cottage comfortably sleeps 4. The open-plan kitchen includes a dishwasher, hob/oven, microwave and fridge / freezer. Crockery, cutlery and cooking utensils are provided. Comprehensive washing facilities are also available. The comfortably furnished lounge/dining room includes a cd-player / radio, flat screen TV and openview satellite TV for your enjoyment. 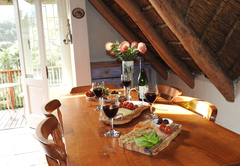 Free broadband Wi-Fi is provided, and can be accessed in the cottage. 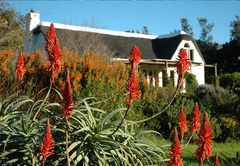 The cottage has its own private garden with a salt-water plunge pool, outdoor furniture and braai (BBQ) facilities. 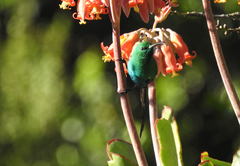 The indigenous flowers and shady trees provide the perfect place to relax with a good book, have fun, entertain friends, or just tan and admire the mountains steeped in the glow of the afternoon sun. Secure off-street parking is provided. 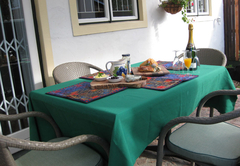 The cottage is serviced once weekly, but maid service can be provided on request at an extra charge. 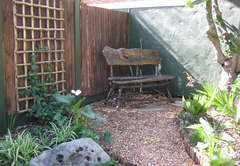 The spacious, fully self contained garden cottage is on one level making it accessible for to people who are physically impaired. The double bedrooms both face into the cottage’s own garden. A cot is available. Bed linen and towels (including beach towels) are provided. The open plan kitchen / lounge includes a small dishwasher, cooker, microwave and fridge / freezer. Crockery, cutlery and cooking utensils are provided. Comprehensive washing facilities are also available. The large lounge is equipped with a flat screen TV with openview satellite TV for your enjoyment. There is a separate dining room and study. 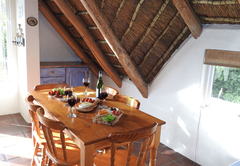 Free broadband Wi-Fi is provided, and can be accessed in the cottage, which has a desk. 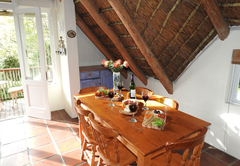 The cottage has its own garden with covered patio, outdoor furniture and braai (BBQ) facilities but no swimming pool. 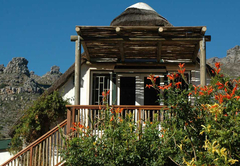 The indigenous flowers and shady trees provide the perfect place to relax with a good book, have fun, entertain friends, or just tan and admire the mountains steeped in the glow of the afternoon sun. 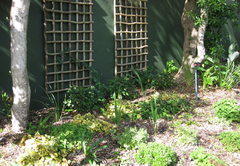 Secure off-street parking beneath a carport is provided. 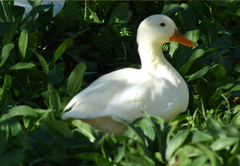 The cottage is serviced once weekly, but maid service can be provided on request at an extra charge. 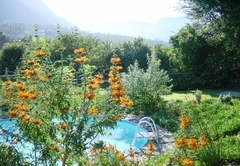 Disa has a large double bedroom with spectacular mountain views, a twin bedroom and a bathroom (with shower). A cot is available. 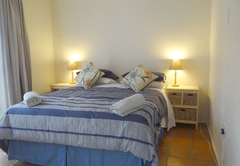 Bed linen and towels (including beach towels) are provided. The cottage comfortably sleeps 4. The cottage is accessed by climbing 15 steps. It is not wheel chair friendly. The open-plan kitchen includes a dishwasher, hob/oven, microwave and fridge/freezer. Crockery, cutlery and cooking utensils are provided. 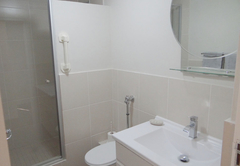 Comprehensive washing facilities are also available downstairs. The comfortably furnished lounge/dining room includes full DSTV TV for your enjoyment. A collection of games, children’s books help to make your stay a memorable one. 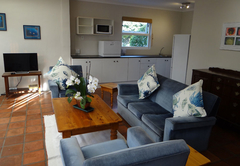 Free Wi-Fi is provided, and can be accessed in the cottage. 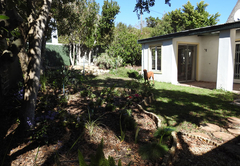 Disa cottage has its own garden with a private salt-water swimming pool, outdoor furniture and braai (BBQ) facilities. 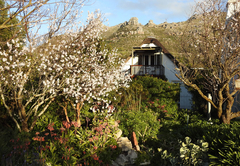 The indigenous flowers and shady trees provide the perfect place to relax with a good book, have fun, entertain friends, or just tan and admire the mountains steeped in the glow of the afternoon sun. 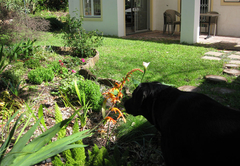 Flame Lily is a ground floor apartment. It is suitable for wheelchair access as there are no stairs. 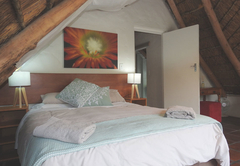 The cottage has a large double bedroom with garden views, and a twin bedroom. The bathroom has a step-in shower with hand rails to hold. The open-plan kitchen includes a dishwasher, stove, microwave and fridge/freezer. Crockery, cutlery and cooking utensils are provided. 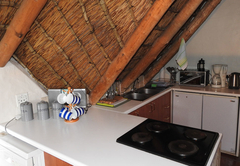 Comprehensive washing facilities are also available and can be accessed from the second bedroom. The spacious furnished lounge includes full DSTV TV for your enjoyment. The separate dining room leads out doors to the covered patio. 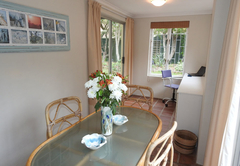 Free Wi-Fi is provided and can be accessed in the cottage, which also has a desk. 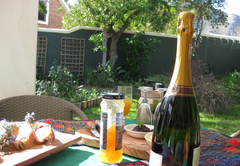 Flame Lily has its own garden with outdoor furniture and braai (BBQ) facilities, but it does not have a swimming pool. 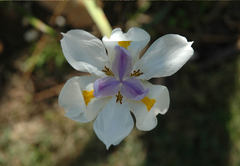 The indigenous flowers and shady trees provide the perfect place to relax, have fun, enjoy a good book or entertain friends. A cot is available. Bed linen and towels (including beach towels) are provided. The cottage comfortably sleeps 4. 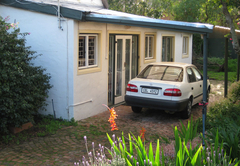 Flame Lily cottage has covered parking and there is off street space to store a trailer. Response timeKairos Lodge typically responds to requests in 5-10 minutes.